YAOUNDE, Jul 31 2014 (IPS) - Motari Hamissou used to get along well with his pupils at the government primary school in Sabga, an area in Bamenda, the capital of Cameroon’s North West Region. In the past, Hamissou also lived in peace with his neighbours. No one was bothered by his long, thick beard or the veil his wife, Aisha Hamissou, wore, or the religion they followed. According to the 2010 general population census, Muslims constitute 24 percent of this Central African nation’s 21 million people, most of whom live in Cameroon’s Far North, North and Adamawa Regions; all on the border with Nigeria. Cameroon’s north western boarder runs along the length of Nigeria’s eastern boarder, stretching all the way to Nigeria’s predominantly Muslim north — a stronghold of the Nigerian extremist group, Boko Haram. But the intermittent attacks and abductions perpetrated by Boko Haram in Cameroon’s North West Region has destroyed the peace and accord that Hamissou enjoyed with his pupils and neighbours. The most recent attack by the group was on Jul. 27 when the wife of Cameroon’s Vice Prime Minister Amadou Ali was kidnapped in the northern town of Kolofata. The group is said to have increased its attacks from Nigeria into neighbouring Cameroon. Since the group first took up arms five years ago for a Muslim state in Nigeria, more than, some 12,000 people in that West African nation have died in the crisis, according to figures from Nigerian President Goodluck Jonathan. Now Hamissou’s own pupils call him “Boko Haram” in reference to the group. The name, Boko Haram, means “Western education is a sin” in the local Nigerian dialect, Hausa. “They see our beards or the veils our wives [wear] and immediately link us to the sect,” Hamissou tells IPS. “I am a teacher. I teach Western education. How can I teach Western education and at the same time say that it is forbidden? That’s incomprehensible,” he adds. Aisha Hamissou tells IPS that even adults have taken to name-calling. “I can’t move and interact freely with other people without being called names. People call me Boko Haram,” she explains, almost bursting into tears. In a concerted effort to distance themselves from the extremist group, Muslim groups and leaders in Cameroon, including the Association of Muslim Students and the Cameroon Council of Imams, have been organising workshops, seminars and public demonstrations to sensitise the general public about their stance against the extremist sect. 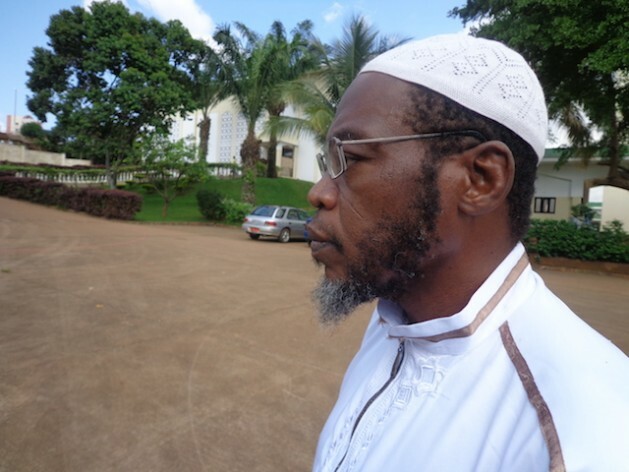 Sheik Oumarou Malam Djibring, a member of Cameroon’s Council of Imams, tells IPS that Boko Haram’s campaign against Western education, as well as the atrocities it exacts on innocent people, has nothing to do with Islam. “Islam is a religion of peace and tolerance. Departing from these precepts is actually against Islam,” he says. Members of the Cameroon Council of Imams and Muslim leaders have embraced “Boko Halal”,”an Hausa idiomatic expression which means education is allowed or permitted as contained in the Quran. Islamic teacher and religious leader Sheik Abu Oumar Bin Ali tells IPS that Muslim scholars have been major drivers of education. “Abu Ja’far Muhammad ibn Musa al-Khwarizmi was a leading Muslim scholar who founded the branch of mathematics known as algebra… So it’s stupid for anyone to link Muslim with a hatred for Western education,” he says. But Ahmadou Moustapha, a traditional Muslim ruler in Cameroon’s Far North Region, tells IPS that Boko Haram has definitely been recruiting young Muslims in the region. “They come here and forcefully whisk away our young people,” Moustapha explains. Mallam Djibring called on the country’s Muslims to be vigilant and report any strange and suspicious-looking individuals.